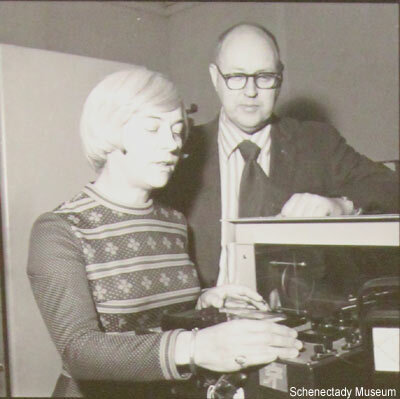 The Edison Tech Center is currently producing a full documentary on the life and work of Nancy Fitzroy as part of their "Wizards of Schenectady Series". This series takes the viewer on a journey through time using hundreds of historical photos and old films in addition to narrative and interviews with coworkers, friends, and fellow engineers. Nancy DeLoye was born in the Pittsfield, Massachusetts area and grew up in a supportive family. Her father was a contractor and had a natural talent in the physical world. He flew home-built gliders from local hilltops and encouraged Nancy to excel in whatever she chose to do. Her first 'engineering' task was to build a phonograph player from available parts. She went to Rensselear Polytechnic Institute and found herself the only women in each class. Her classmates were encouraging and she graduated in 1949. She married Roland V. Fitzroy who was another talented engineer (electrical engineer). Roland was a graduate of Union College in 1943 and went on to advance engineering in many fields including rocket guidance, nuclear reactors, nuclear weapons, and other defense related technologies, many of which have influenced our consumer technology today. Roland and Nancy worked together on Project Hermes, which was a continuation of the V2 rocket work started by the Germans in WW2. Nancy worked on the engines and heat transfer while Roland worked on guidance and electrical systems. Their work lived on into the Project Vanguard and Project Redstone years. These projects sent up the US's first satellites. 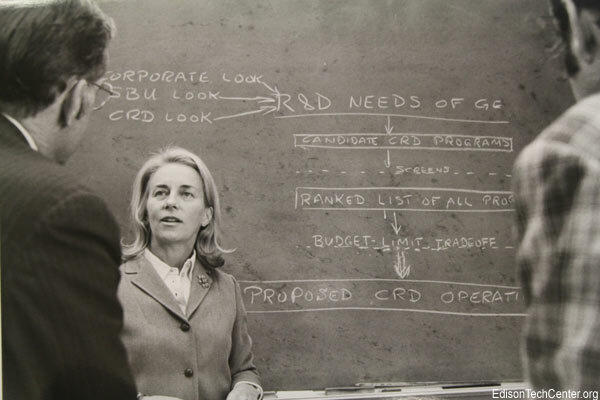 After working in many departments of General Electric Nancy improved the efficiency and heat transfer design of many technologies. Her field could be applied to everything from electric motors to refrigerators to rocket engines. Nancy became the go-to person in her field. Whenever someone had a problem with heat transfer in their device they would meet with her and she would help figure the problem out. 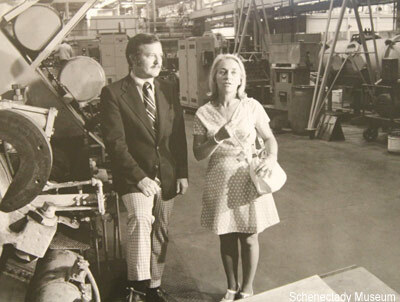 General Electric produced a wide variety of products across the US and she frequently traveled. Left: Nancy, the best in her field! 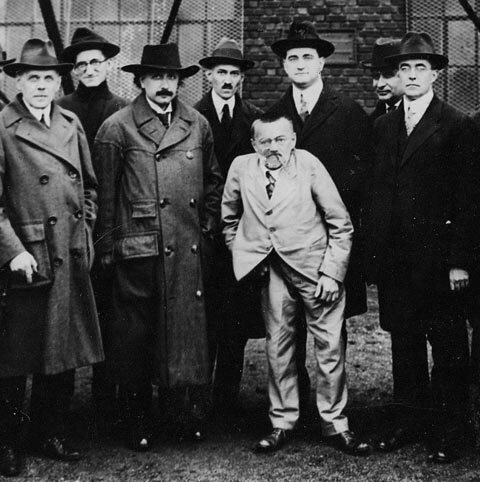 At General Electric some men were afraid to ask her for help. The field of science and engineering was still dominated by white men at the time. Nancy has held a positive attitude her entire life and has not been held back by the establishment. She did what she liked and no one could stop her. She has been recognized by the NAE and ASME for being an exceptional engineer, not just as a 'woman engineer'. She is proud of her achievements and has been an inspiration to many women in the engineering field. She became the first woman president of the ASME and went on to receive many other awards. She contributes her time and expertise toward technology advisory committees in Washington DC. She is an avid flyer and sailor. 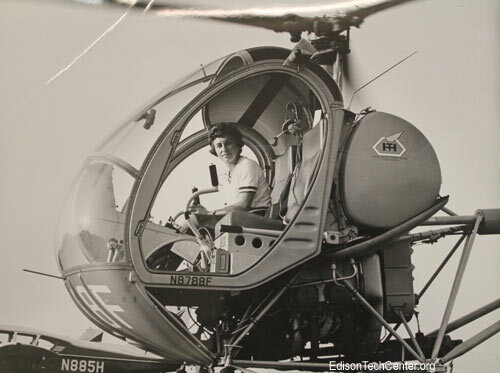 Nancy became one of the earliest woman helicopter pilots in the world. Roland and Nancy used their twin engine aircraft together as a hobby and to get to and from work when going to GE locations out of the Capital District. Together they traveled the world skiing, sailing and road tripping. Today Nancy continues to be a mentor to young women who have an interest in engineering as well as filling advisory positions. She is active in the ASME. No one commercial or public is allow to alter Edison Tech Center photos/graphics/videos. Educational Use: Students and teachers may use photos and videos for school. 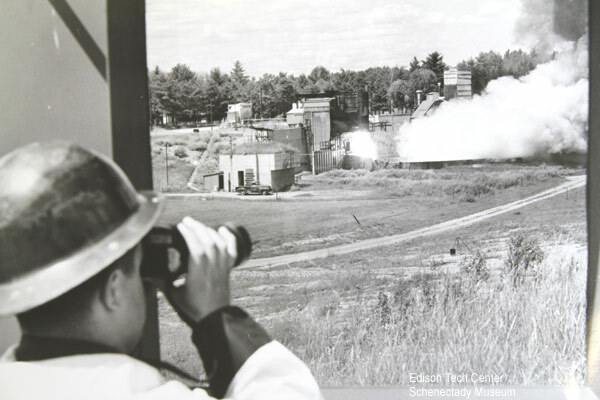 Graphics and photos must retain the Edison Tech Center watermark or captions and remain unmanipulated except for sizing. Permissions - Videos: We do not email, FTP, or send videos/graphics to anyone except in DVD form. Payment is needed for this service. See our donate page for pricing, and our catalogue for a listing of videos on DVD. Professional video production companies may get videos in data form with signed license agreements and payment at commercial rates.